The current debate around autonomous driving tends to focus on its potential impact in cities. 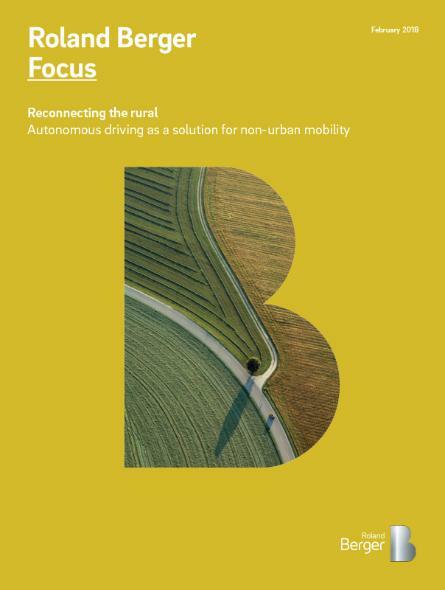 We think that the perspective should be broader: Self-driving vehicles could be the key to reconnecting the countryside, part of the mobility solution for people living in rural areas. Rural populations are often isolated due to a lack of public transport options. Autonomous vehicles can fill the void and make a major contribution to mobility in these areas, boosting the quality of life of rural residents. In addition, the countryside offers automotive companies a uniquely valuable opportunity to develop and test autonomous driving propositions in a rewarding market marked by quieter roads and less traffic. Three customer groups would particularly benefit from public or semi-public transportation systems based on autonomous vehicles. The first is elderly people who are no longer able to drive and cannot access traditional public transit. The second group includes people who are not yet of driving age. This includes schoolchildren, where the option of a self-driving bus with an adult chaperone offers an economical solution for parents. The third group consists of people with disabilities, those who cannot drive or who have difficulty accessing traditional public transit. Shared car services offer a cost-effective way to offer mobility to disabled persons and the elderly population. Of the three groups, the elderly population is of particular interest. 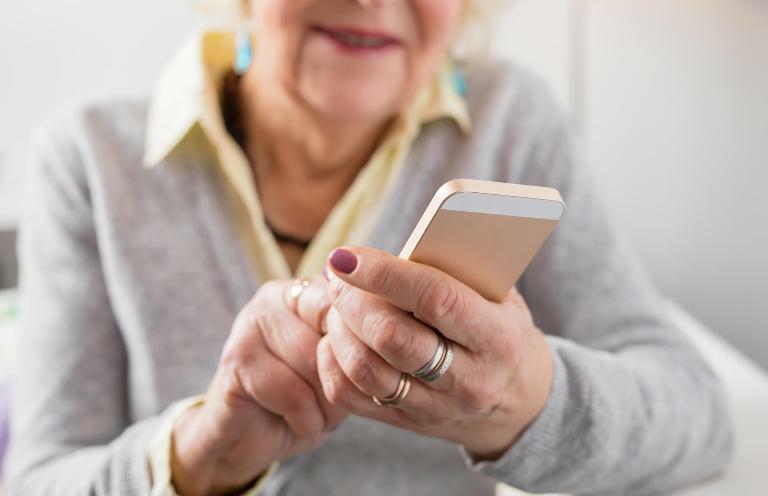 That is due to the fact that the percentage of people aged 65 or above is expected to double between 2015 and 2055 and ultimately make up 17 percent of the global population on average. Figures for individual countries are even more striking. For example, the 65+ population is forecast to represent 30 to 35 percent of society in China, Singapore, Italy, Germany and South Korea by 2060, and perhaps as much as 40 percent in Japan. Significantly, statistics show that the elderly make up a larger proportion of today's society in rural areas than in the countries as a whole. For example, in Japan, where more than a quarter of the population is aged 65+ today, the figure for rural areas is as high as 30%. Therefore, it will come as little surprise that Japan currently leads the way in the development of autonomous driving solutions for rural public transport. Indeed, we believe federal and local authorities in many other countries will soon follow the Japanese government's solutions. Prime Minister Shinzo Abe announced in February 2017 that "we will aim to address labor shortages in rural areas and help people with mobility difficulties by introducing automated driving that does not need human drivers by 2020." The main factor driving this public policy is the desire to assist mobility-impaired people. Additional aims include increasing road safety and reducing traffic volume. "We will aim to address labor shortages in rural areas and help people with mobility difficulties by introducing automated driving that does not need human drivers by 2020." A number of initiatives in Japan are looking into this area. SB Drive Corp. – a joint venture between SoftBank and Advanced Smart Mobility Co. Ltd. – is currently engaged in a government-backed project to trial autonomous buses in several local areas in Nagano, Fukuoka and Tottori. The self-driving vehicles, which can carry 11 or more passengers at speeds in excess of 20 km/h, are based on the existing Hino Liesse step-floor minibus and use cameras to recognize traffic lanes and obstacles, as well as featuring radars and control units for steering and acceleration. SB Drive Corp. expects to introduce self-driving vehicles in local bus networks by 2020, focusing particularly on routes that currently run at a loss. France also has a number of initiatives in place to develop alternative mobility solutions in rural areas, which could eventually be combined with autonomous vehicles. On-demand transport solutions are already common. In the rural area of Mayenne in northwest France, for example, local residents can use the services of Petit Pégase, a network of 14 regular, on-demand transit lines with a fleet of nine-seat vehicles, plus services dedicated to school transportation, covering the entire area. Other regions are promoting car-sharing and ride-sharing by adapting infrastructure and even developing joint schemes between different areas, such as the Ardèche and Drôme départments in the south of France. 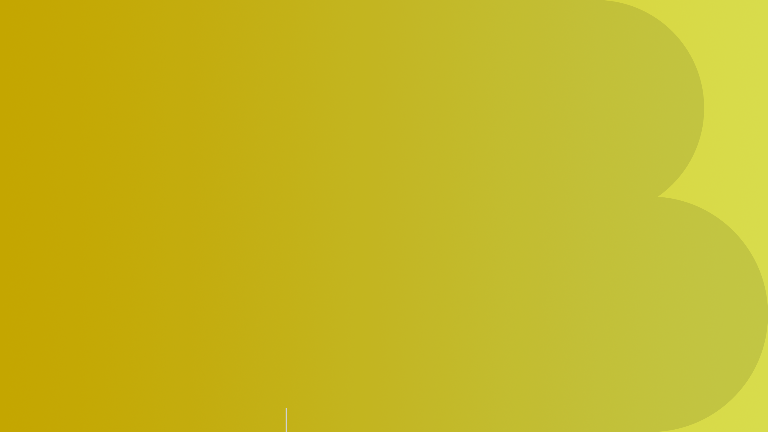 The iconic yellow school bus, reimagined: autonomous cars offer children a safer, greener transportation. 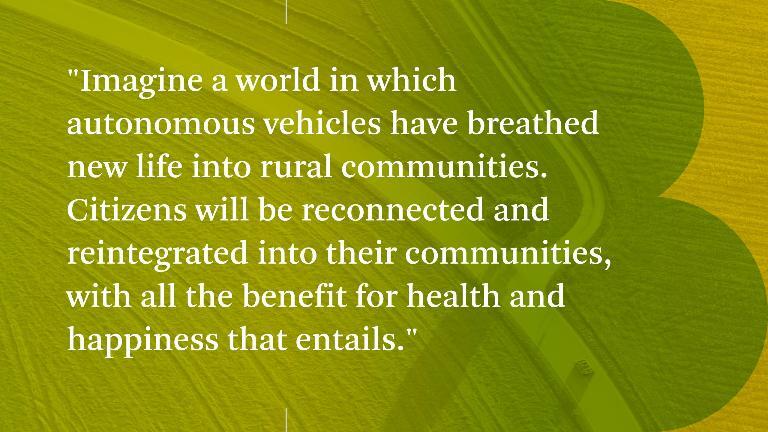 Finally, we believe that autonomous driving in rural areas represents a great opportunity for businesses to try out future models, and for governments to bring real benefits to rural populations in terms of their mobility. Autonomous vehicles for public transit in rural areas, unlike the more widely discussed urban robocab services, represent a valuable first step for testing the concept of self-driving services. In contrast to bustling urban streets, quieter countryside roads provide the perfect setting for testing models and then adjusting them for use in cities. Now is the moment for stakeholders to start developing models for reconnecting rural communities. The benefits for individuals, for businesses and for government will quickly be apparent to all. Looking ahead, autonomous vehicles will breathe new life into rural communities. Self-driving buses will run on major routes, linking transportation hubs, hospitals, shopping malls, local government offices and residential areas. Autonomous pods or self-driving taxis will provide last-mile services to users' doorsteps. Citizens will be reconnected and reintegrated into their communities, with all the benefits for health and happiness that entails. In the morning, the pod picks people up from their homes and takes them to transportation hubs, such as a bus or railroad station. In the afternoon it takes passengers to hospital, supermarkets and the like, on demand. Come evening it is back moving people from hubs to their homes. In between rides, the pod's interior is "refreshed" as and when necessary – a clean-up service and any minor maintenance that can be provided by a taxi driver, say, or a retired local resident. At the end of a busy day, the pod then goes to a central workshop for maintenance, repair, charging, software updates and so on. Self-driving vehicles could be the key to reconnecting the countryside, part of the mobility solution for people living in rural areas.